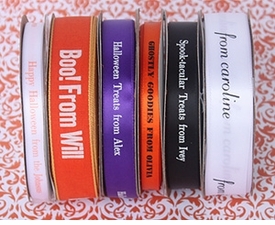 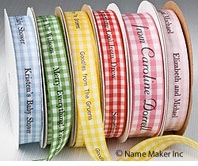 Personalized Ribbons are a must have for any household and make a great for every occasion. 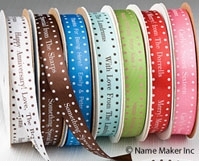 Our personalized printed ribbon quality is unmatched. 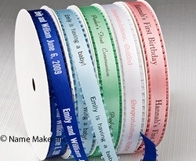 Try our personalized printed ribbon for baby shower favor ribbons, personalized birthday ribbons, personalized Christmas ribbons, even use our personalized printed ribbons for bar/bat mitzvahs, christenings & more. 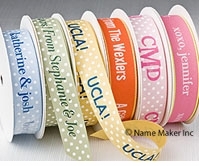 These personalized printed ribbons are unmatched in quality. 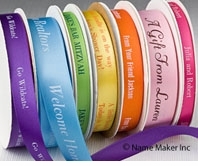 Order our personalized printed ribbons and see for yourself. 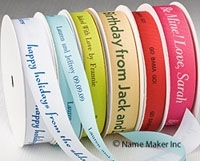 Featured in Oprah Magazine "Favorite Things List".